Chuck has always been a tough guy on screen and in real life. They say he strangled a man with a cordless phone, rubbed two fires together to make wood, built a snowman out of rain, and created giraffes by upper cutting a horse. But when the world needs a hero, Chuck Norris calls the Toyota Tacoma, at least according to Toyota’s latest campaign. See how the Tacoma is tougher than Chuck in this fun spot. If you’re familiar with employee vehicle-incentive programs, then Mary Kay and the Pink Cadillac should be the first to come to mind. The Pink Cadillac is a reward for sales reps that maintain a team of 12 members and place $18,000 in production orders within a 4-month period. The famous program welcomes two newcomers, a black and pink Mini-Cooper and the Chevy Traverse. A year ago, Bud Light made its debut in the UK. The Drum tells us that it secured its position in the beer market by relying on Dilly Dilly. They're now the top growth driver for standard lager in the UK. Similar to their partnership with the NFL, Bud Light broke into the other football and is now an official partner of the England men’s senior team. 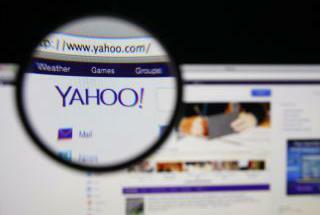 Yahoo recently confirmed that Yahoo Mail still scans promotional emails and all emails inside the spam folder. The Verge tells us, Yahoo sells the harvested data to advertisers. Most tech companies have come out publicly saying they have stopped that practice. Yahoo’s owner Oath argues that users should expect some sort of exchange for its free service. However, Yahoo's paid services are still subject to email scanning regardless of the monthly premium. 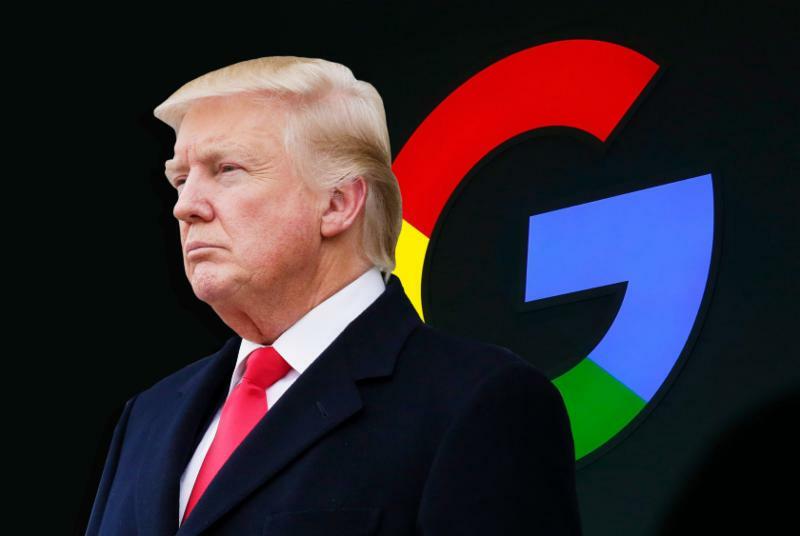 President Donald Trump slammed Google on Twitter for an alleged bias over which news stories appear on the front pages of the search engine. In reality, this can be chalked up to simple SEO. The White House has released a statement saying they’re looking into whether or not the search engine should be regulated. Following the FCC’s destruction of Net Neutrality laws, pundits speculate Google’s regulation will only further U.S. government influence and interference on the world wide web. Google has officially denied any bias. Companies like Best Buy, Walmart, and of course the now closed Toys R Us, have felt pressure from Amazon. Most retailers’ brick and mortar and online stores have taken a hit. Walmart is fighting back by offering their unique Handy service to online buyers. 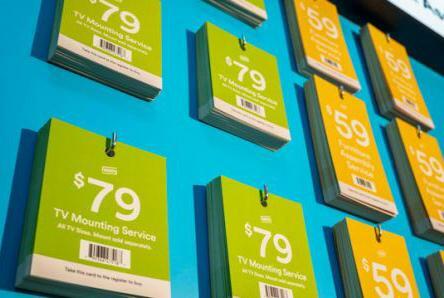 Handy, previously only available at the checkout line, allows shoppers to pay a small service fee to have their TV, shelves, desks, and other appliances installed in their home. If you’re on social media, it’s important to engage with your followers. It can be as simple as asking questions or creating a conversation. That’s easy to do on your personal account, but if you’re a company it may require a more thought-out approach. SCE Federal Credit Union is particularly active on social media. Part of our monitoring process has us looking at what their followers engage with and talk about. We learned they really love their pets, specifically dogs. What better way to engage them than with SCE FCU’s own National Dog Day celebration. #DogDayAtSCEFCU called for members to respond with pictures or video of their dogs to contest-like categories. “Best Friend” had them posting pictures of themselves with their pup. “Bad Dog” prompted for torn pillows and kitchen messes. Someone’s dog destroyed a backyard putting green. There were some cute ties and t-shirts for “Best Dressed.” Members who looked like their dog got to take advantage of “Twinning.” “Family Pooch” wrapped up the promotion with heartwarming family photos. We were excited that SCE FCU team members were invited to celebrate, too. A winner was drawn for each category, and they received a BarkBox. If you’re not familiar, BarkBox is subscription service for your pup. Every month, a new box of treats and toys arrives at your door. All of them have a unique theme like the medieval box “The Knights of the Hound Table,” and our favorite “Chewrassic Bark” a play off of Jurassic Park. BarkBox is keen on dog branding. When we reached out to them to let them know about the promotion and get them involved, their emails were from a dog's perspective. Sorry, emails and calls were called barks. Pretty cute. The campaign brought new followers to SCE FCU’s Facebook, Instagram, and Twitter pages. We had well over 200 submissions across the board, which lead to around 500 engagements and roughly 10,000 impressions on the three platforms during the few hours of the promotion. You can enjoy some of our favorite su bmissi ons her e . If you’re looking to get your social media campaign or promotion rolling, be sure to give us a bark! It’s been a year of hard goodbyes and farewells to celebrities and music icons. The Queen of Soul, Aretha Franklin, is one of the latest to be laid to rest. Many know Franklin for her jaw dropping and eruptive presence through the late ‘60s and ‘70s. Her energy and passion will ultimately define that era of R&B, soul, and the gospel, if not the genres themselves. Her impact is rivaled by none, but what many don’t know about Franklin was her influence in the advertising industry. She worked with companies like Coca Cola, Pizza Hut, and many others over the past 50 years. While you may be bi ngeing on her top hits, see just how creative the Queen of Soul really was here .